B&B in Barockvilla ... Wunderschöne Unterkunft in einer Prachtvilla aus dem 18. Jahrhundert. Gutes Frühstück im herrlichen Garten. Sehr schwer zu finden, da Strassenverlauf abenteuerlich. Zugang kompliziert, weil die Sprechanlage nicht funktioniert. 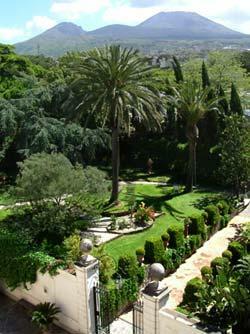 It is a splendid eighteenth-century villa set in leafy grounds with palms, rare plants and trees over a hundred years old. 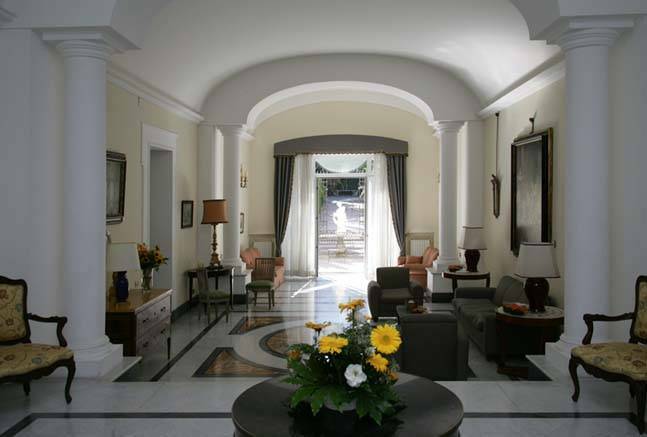 This remarkable place, which was once part of the old Bourbon pheasant-shooting retreat connected to the Royal Palace in Portici, is still as beautiful and impressive today as it was when Portici was the favourite destination of eighteenth-century noblemen. Today the town is attractive in itself and also a good starting-point for those wishing to explore the area and visit sites of archaeological interest and great natural beauty. It is close to the ruins of Herculaneum and Pompeii and to Sorrento and Naples, while the coast, dominated by the brooding Vesuvius, looks across to the enchanting islands of Capri, Ischia and Procida. The Bed and Beakfast, part of the villas lodge, consists of THREE sunny rooms - one of them with a small terrace and cooking facilities. 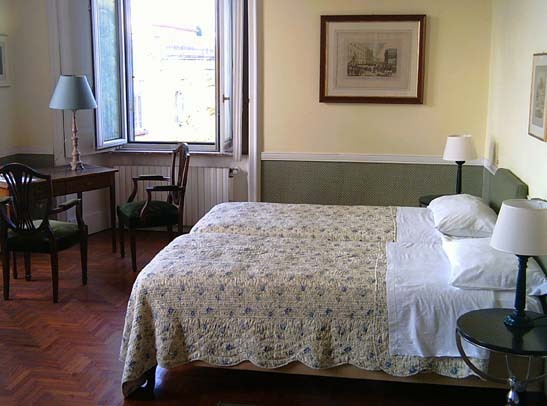 Each room is provided with private bathroom, air-conditioning, WiFi Internet. In summer it is possible to have breakfast outside in the magnificent courtyard with its charming marble fountain, sit and relax or read on the benches in the grounds, or sun-bathe in a natural sun-trap. Car-parking is available. 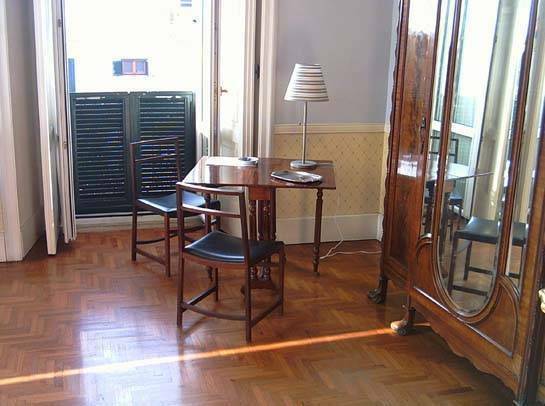 Antique furnitures, Free Wireless Internet, Air Conditioning - The types of the three rooms described here can be quickly adapted to the needs of the customer (single, double, triple, etc.). 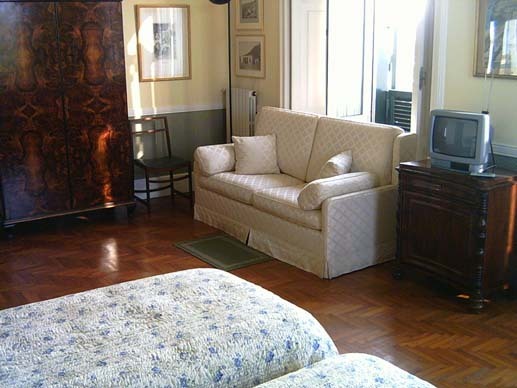 Double Room or Double Single Use: large and sunny room with private bathroom, antiques furnitures, air conditioning, wifi internet, Tv-Dig/Sat, DVD. King size bed or twin; possibility of adding a third bed. Junior-Suite: room with two ambients, king size/twin bed, double sofa-bed and a single bed, private bathroom, antiques furnitures, air conditioning, wifi internet, Tv-Dig/Sat, DVD. Perfect for family max 5 pax. Dependance: Flat with private entrance, room with double/twin bed and single bed, private bathroom, kitchen and small terrace with garden view, air conditioning, Tv-Sat. Good for long stay. Surrounded by magnificent mediterranean shrubs, stands where Vesuvius slopes down to the sea at the heart of the Bay of Naples. 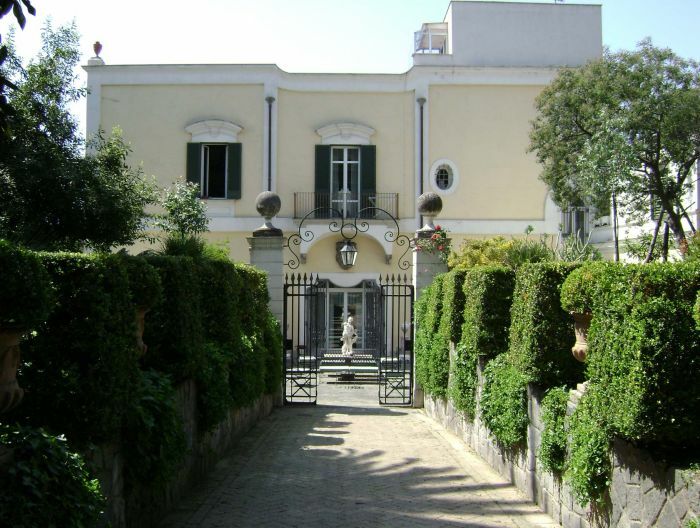 Leave the A3 Naples-Pompeii-Salerno motorway (exit Ercolano) and follow the signs to the B&B which is at No. 5 Via Madonnelle.